There is no denying the cool look of the packaging that the set of four shot glasses showed up in. The box has a very clear picture of what you are getting on the front (not that you would need that) and also a nice explanation of what they are best used for (again not really needed). 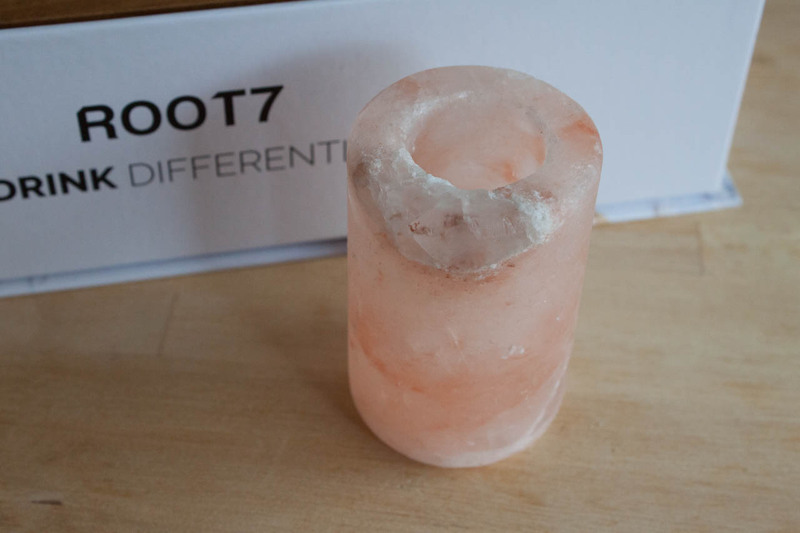 Outside of this, the box is also sturdy, easy to open and one that we decided to keep around for storage purposes. 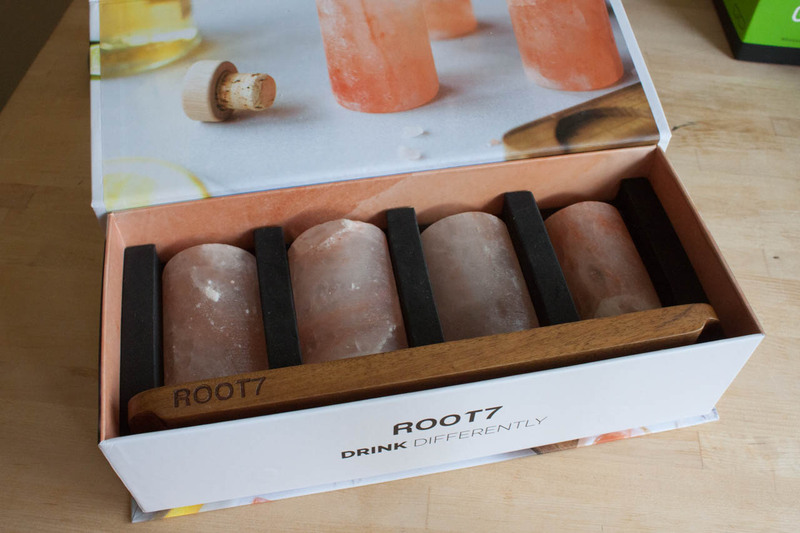 Inside the box, you will find the four shot glasses nestled inside a study foam liner alone with an acacia wood tray to hold them. 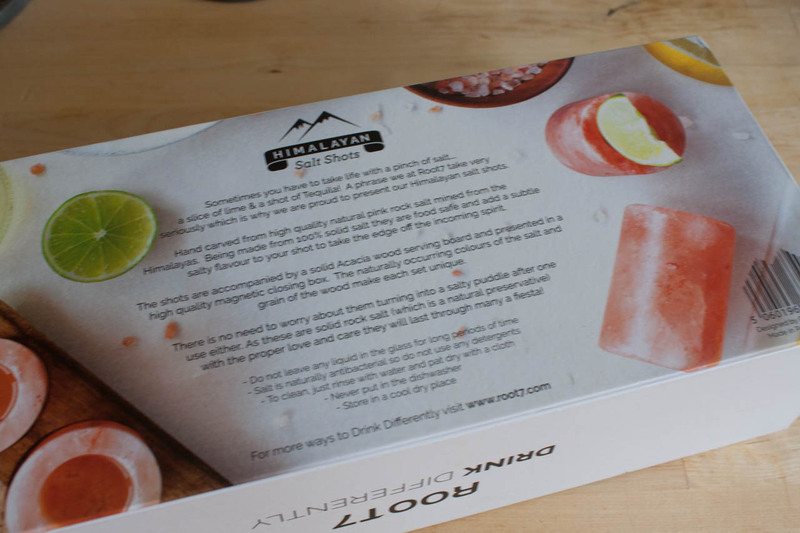 It is a nice presentation and gives the impression of a solid product. 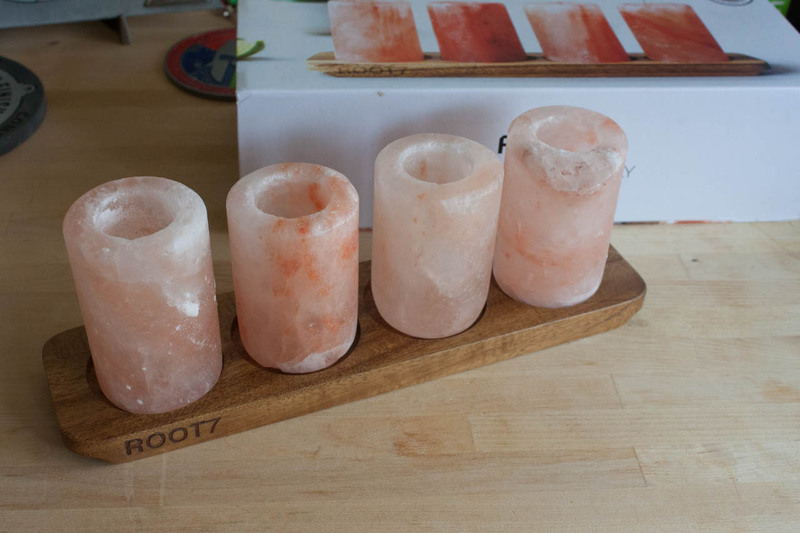 The shot glasses are made from solid pieces of Himalayan Pink Salt that are cored out. Whether these are made by a single core or carved down is something that we could not determine, but it does not matter either way. What we did find interesting is that in our set of four no two were of equal size. Two were very close, but not quite the same. It gives them a decidedly handmade appearance and with the acacia wood serving board… well the overall look is quite nice. 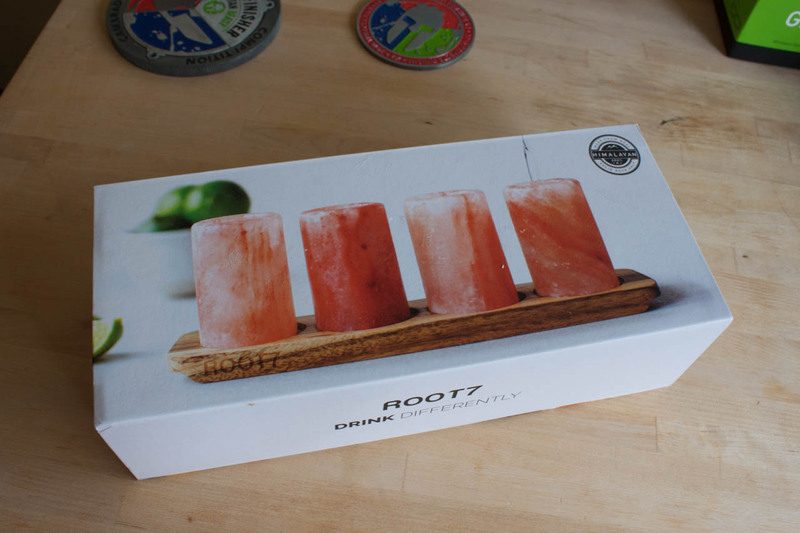 The Root7 Shot Glass set mentioned Tequila on the box, but after a few tests we found that this was not the only shot that went well in it. Surprisingly we found that Sothern Comfort, Vodka, and even Jägermeister tasted surprisingly good in the Root7 Glasses. 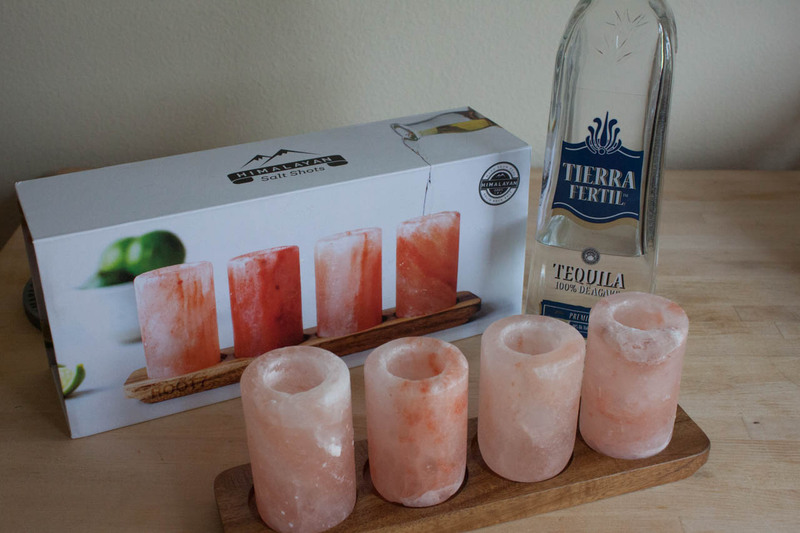 The salt that dissolved into the drink from the shot glasses added a sharp taste to each of these. We did a few sipping whiskeys as well and while they did not taste bad, it was not the right flavor for most of them as the salty taste did not work too well with the smoky flavors. The Tequila shots were, by far, the favorites during our testing. 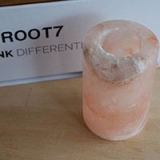 After the fun is over you are going to want to clean up your Root7 kit. To do this all you really need to do is to rinse them with water and then blot them dry with a lint free cloth. That is it, no soap, no rubbing them dry… just rinse and pat. You will get more than 80 uses before you need to look at possible replacement if you take care of them. 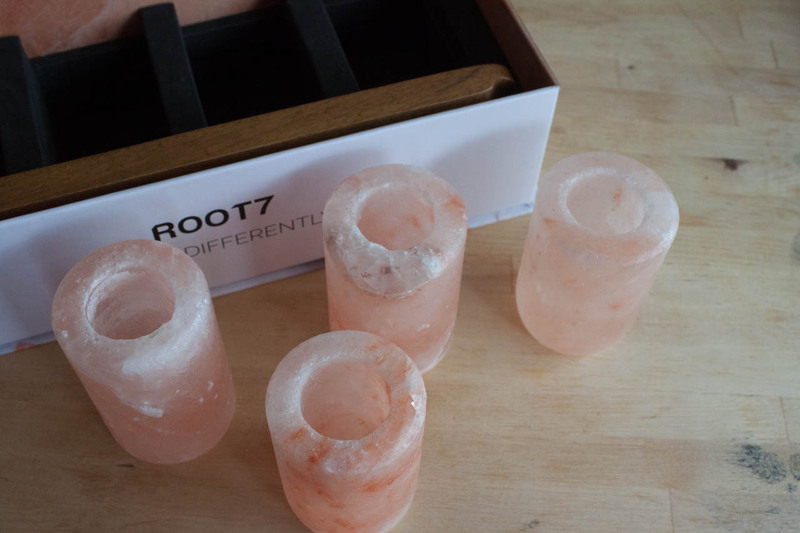 The Root7 Shot Glass set will run you about $35 on Amazon. This is a very small price to pay to have a cool addition to your bar. The flavor they add to your tequila (and a few other liquors as well) is a big bonus. Yes, you will have to replace them at some point, but not for a while (unless you are an extremely heavy drinker and then you might have other issues). 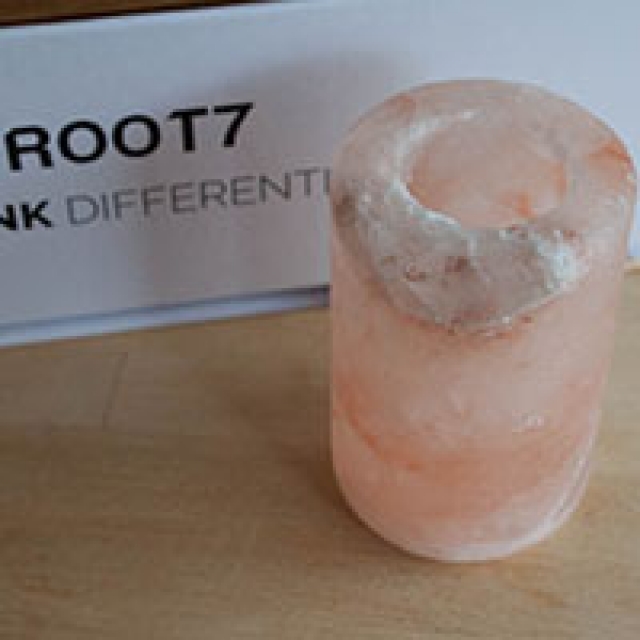 In all we found the Root7 kit to be a good value and although not really technology related very fun to have and try out. We hope to incorporate these into our planned pod cast (if we can get that all fleshed out).